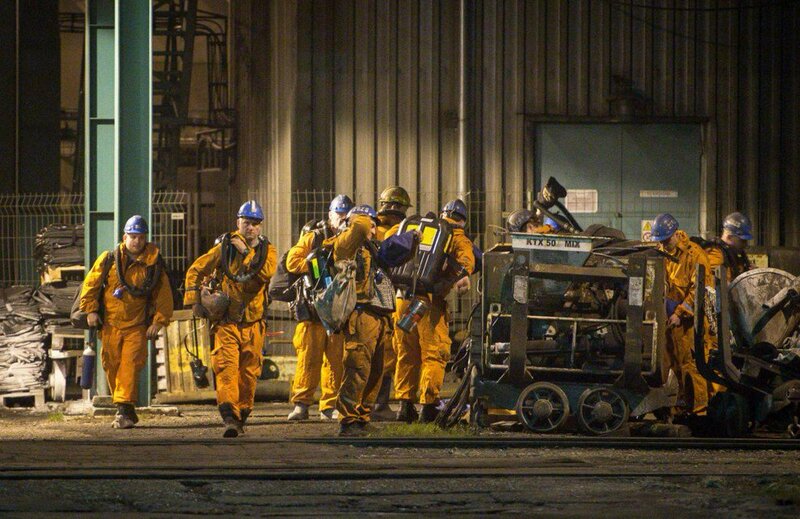 Rescue personnel prepare to search for missing miners after a methane explosion at the CSM hard coal mine in Karvina, Czech Republic. A methane explosion killed 12 Poles and one Czech at an eastern Czech coal mine, the OKD mining company said on Friday, in the worst disaster of this kind in almost three decades. The state-run firm said that a methane blast more than 800 metres (875 yards) underground devastated areas of the CSM hard coal mine near the town of Karvina and the Polish border on Thursday afternoon. “We stopped underground work immediately, evacuated miners to the surface, and rescuers arrived who inspected the whole location thoroughly,” OKD spokesman Ivo Celechovsky said on Czech public television. OKD had previously said that 11 Poles and two Czechs died, but added later one of those thought to be Czech was in fact a Polish citizen. The accident is the worst mining disaster in the Czech Republic since 1990, when 30 miners died in a fire at a mine near Karvina in the same region, according to a list compiled by CTK news agency. Polish President Andrzej Duda declared Sunday a day of national mourning. OKD said that attempts to rescue eight miners originally reported as unaccounted for had to be abandoned due to conditions in the shaft. “Unfortunately, we have reached a point where it was impossible to move forward, because there was a fire raging and zero visibility,” OKD managing director Boleslav Kowalczyk said. The affected part of the mine was being sealed off to starve the fire of air and rescue teams would only be able to return to recover the victims at an unspecified date when conditions allowed, he said. Kowalczyk said a network of methane sensors deployed in the mine had not detected anything unusual prior to the blast. The Polish victims were miners employed via the ALPEX company, OKD said. Polish Prime Minister Mateusz Morawiecki and his Czech counterpart, Andrej Babis, visited the mine separately on Friday morning. Babis pointed out the risks that search teams facing. “They were 50 metres from those trapped there, but it was not possible (to advance) without threatening the lives of the emergency workers,” he said, adding that the company was looking into ways to compensate the victims’ families. Morawiecki spoke on a similar note. “Of course we will offer care to all of the families of the mining (accident) victims and for all those who survived,” he said, according to the PAP news agency.